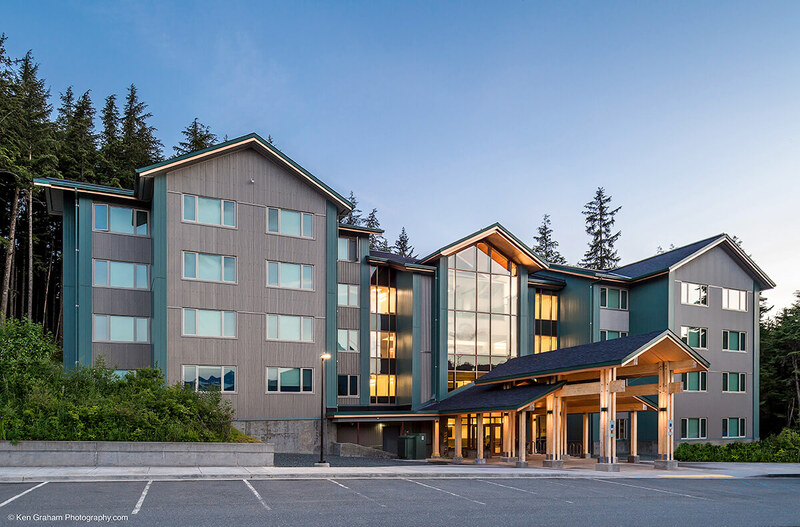 This new facility created a Freshman residence hall in the center of the University of Alaska Southeast Juneau campus. 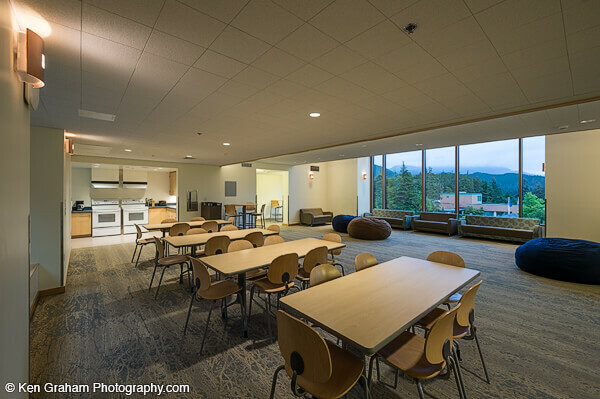 The 33,000 SF facility, providing 106 beds is quad suites, provides a critical anchor for the center of the Juneau campus academic quad, after years of housing choices for Freshman that were far-separated and inadequate. 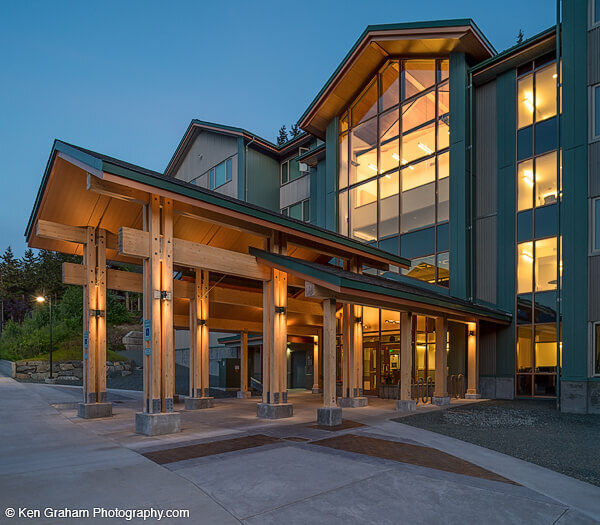 The building features a central dramatic space over with four stories, combining entry foyer, student commons and dining spaces, academic meeting spaces, and general support. The central tower is flanked by rooms on either side, with acoustically isolated living spaces. Double bedroom units and paired with a private restroom and mini-kitchen, providing friendly social quad elements. 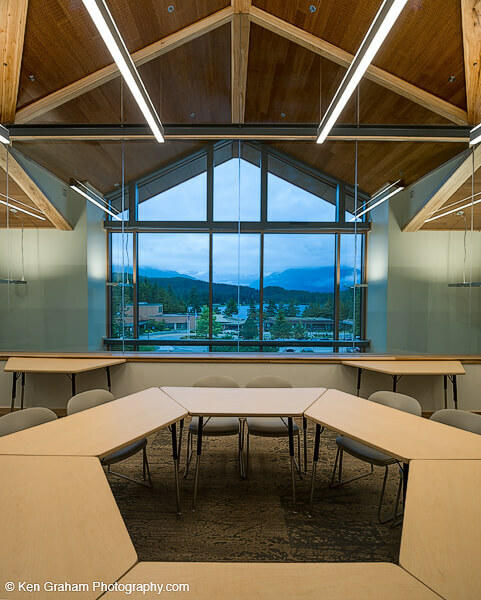 The residence hall is located on a rising slope, with views of Auke Lake and the Mendenhall Glacier on one side, and undisturbed forest on the other. The building incorporates sustainable best-practices, including excellent thermal envelope, air source heat pumps, and HRV ventilation.